Check out this playful type by Sydney-based studio, MaricorMaricar, created for Hong Kong Airport. 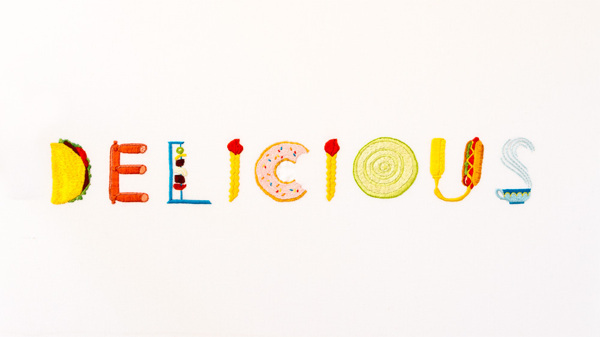 The word “DELICIOUS” is embroidered in 6 different languages, each one spelled out using the food from the various regions. I love the macaron’s in “Bon cout” – the detail is impressive and just so sweet! MaricorMaricar specialises in hand-crafted illustration and lettering using hand embroidered and paper cut techniques (Someone get me a job here, please?). You can check out some of their work here.